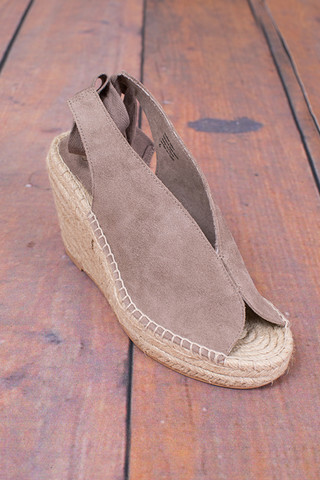 Collectibles, made by Seychelles, features a peep toe wedge with a closed back and adjustable buckle closure. 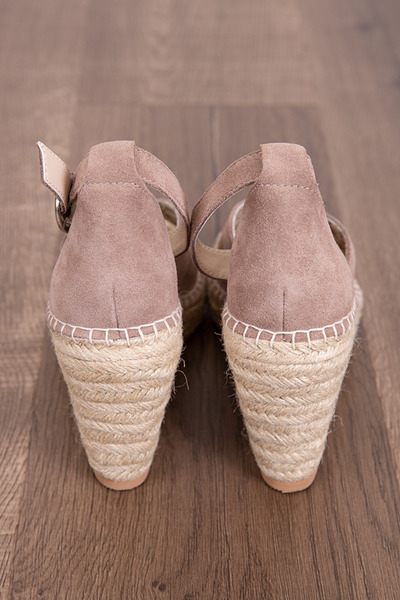 These darling suede espadrilles also have a floral print lining and natural colored stitching. Pairs well with your favorite dress or with jeans and a fun blouse for work.